The mantle of Hurler of the Year will not weigh heavily on Galway's Joe Canning with older brother Ollie expecting him to continue the same hard work which has allowed him to reach the game's pinnacle. The 2016 winner Austin Gleeson spoke of the extra pressure which the award brought and how it affected his performances but Canning (right) doesn't feel his younger sibling will suffer a similar fate. "No, I don't think so. 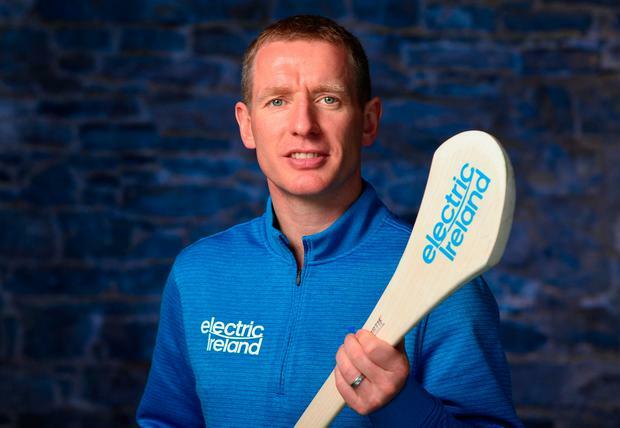 Joe doesn't play the game for individual awards, it doesn't bother him too much, it just runs off him," Ollie said at the launch of the Electric Ireland Minor Championships. "It was great to get it, fair play to him, but I don't think so. I know his personality, he doesn't strive for individual awards, he just wants the team to win and that's it. "We're a big family and we've said this all the time, we all know, playing with Portumna or playing with Galway, you just have to put the work in and get the work down and that's it. If you do take your foot of the gas you'll pay the price. "You are not going to be at your optimum and you are not going to perform to your potential and that's the simple reality. Joe knows better than anyone, he needs to work at his game every day. "It's funny, people say you get to a level, you have to work to maintain that level as well and that's the reality of it. You take your foot off the gas for a month and you'll fall behind, it's very hard then to catch up during the summer. "You can't just flick a switch on the day of a match, so Joe will keep working hard. As regards the Player of the Year, I don't think he's even thought about it too much since." Canning endured a difficult spring after helping the Tribesmen end 29 barren years without Liam MacCarthy last year with foot and finger injuries denting the sharpshooter's preparation ahead of their opening Leinster SHC tie against Offaly last Saturday. "You would just hope he gets a good run now injury-free for the next couple of weeks and he gets back up to top speed," Ollie said. "He's like a lot of the Galway lads at the moment, they didn't look as sharp as they should the last day but anything can happen the first day until you get up and running. I think Joe is happy enough, hopefully he'll get back up to speed." Another Canning grabbing headlines is Ollie's nephew Jack - man of the match in last year's All-Ireland minor final win - but he is not currently part of Micheál Donoghue's senior squad and his uncle feels the year out will serve him well in the long run, as it did with Joe. "Is he ready for senior with Galway? No, I don't think so. He's a bit to learn yet. If he keeps working and improving there may be a future there for him with the Galway seniors but I think he should concentrate on the U-21 going forward. "Then if he's good enough to get called in then he'll get called in and that's the way it's going to go. There is a lot of talk about him, but he's just at that age, he's playing U-21 for Galway this year and he needs to prove himself at that level as well."